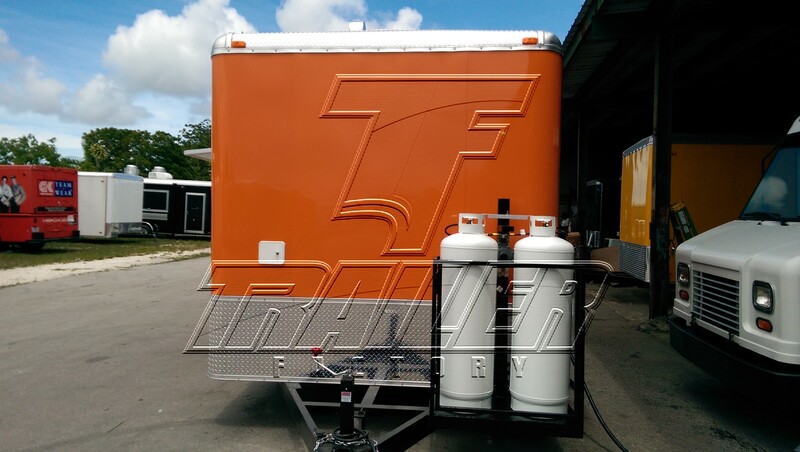 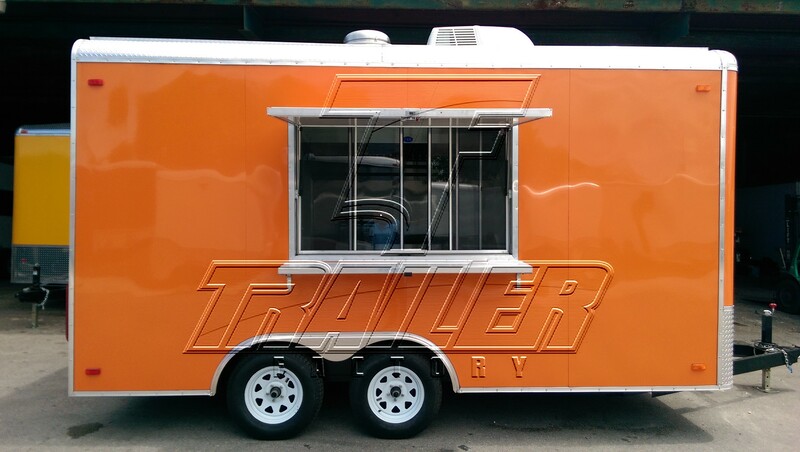 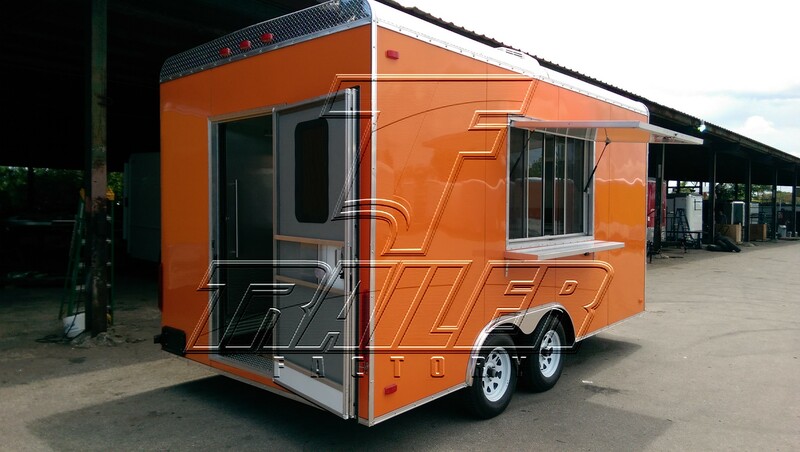 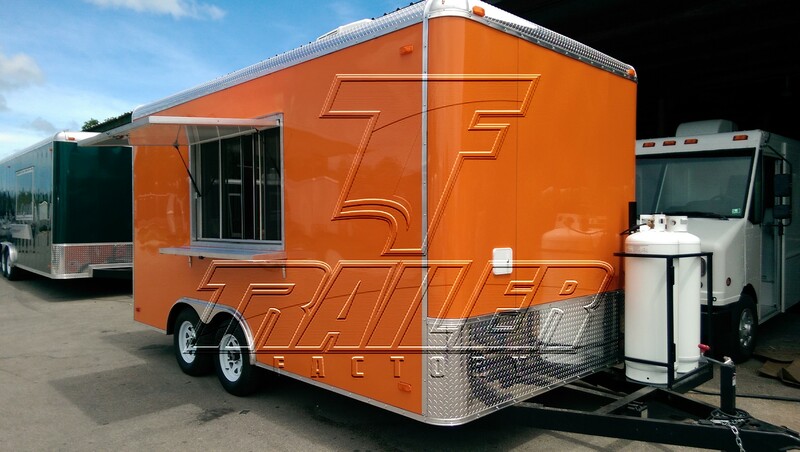 Our 16ft concession trailers will make your business stand out against the competition. 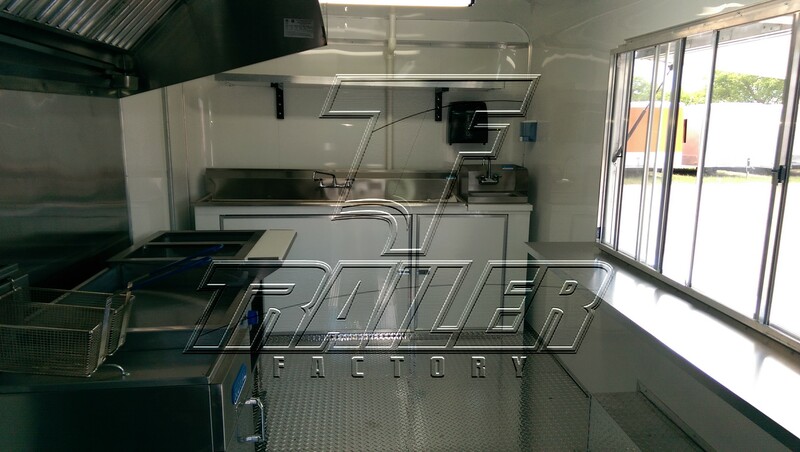 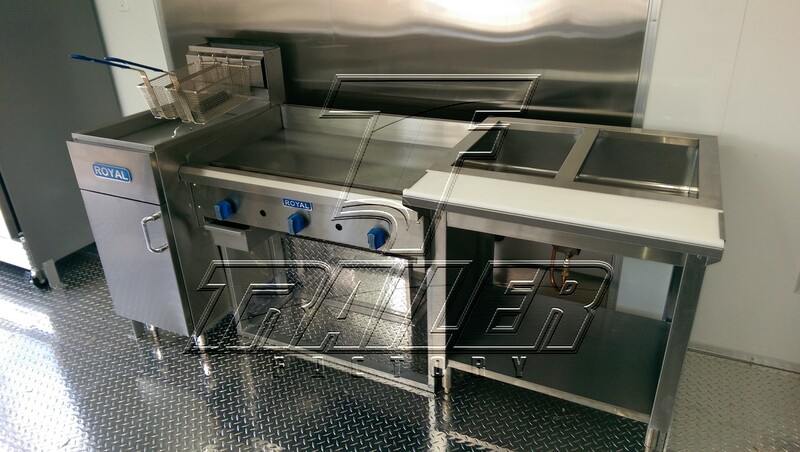 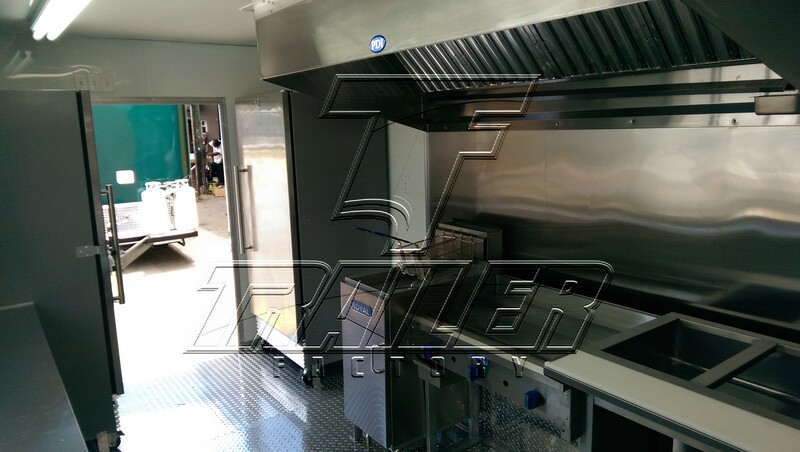 Your custom concession stand will arrive fully loaded with stainless steel equipment, including a 6′ exhaust hood, 24″ grill top, 3 compartment sink, hand-washing station, 2-pan steam table and more. 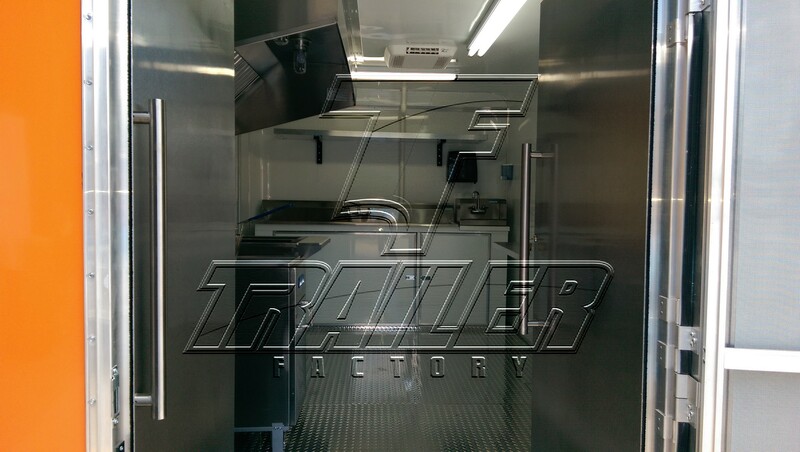 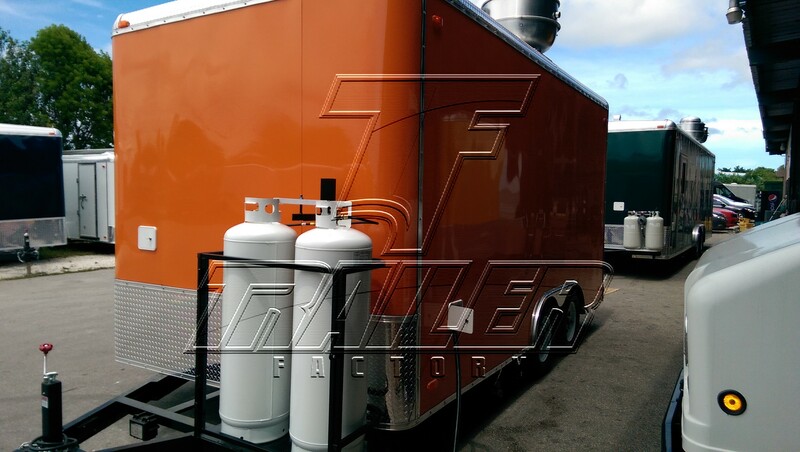 Package A (8.6ft x 16ft) also includes a full electrical system, hot water package and propane system to power you through the dinner rush. 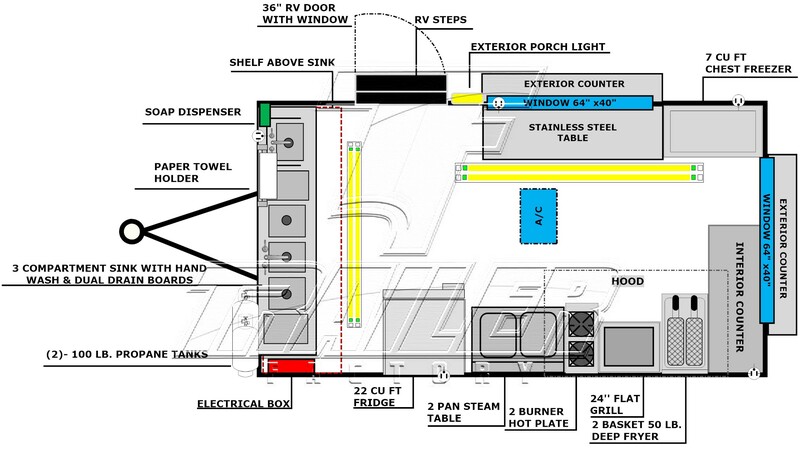 Check out the complete list of features below.